The larch casebearer can be detected in the spring from the light brown colour of the foliage and the presence of tiny, cigar-shaped cases on needles. 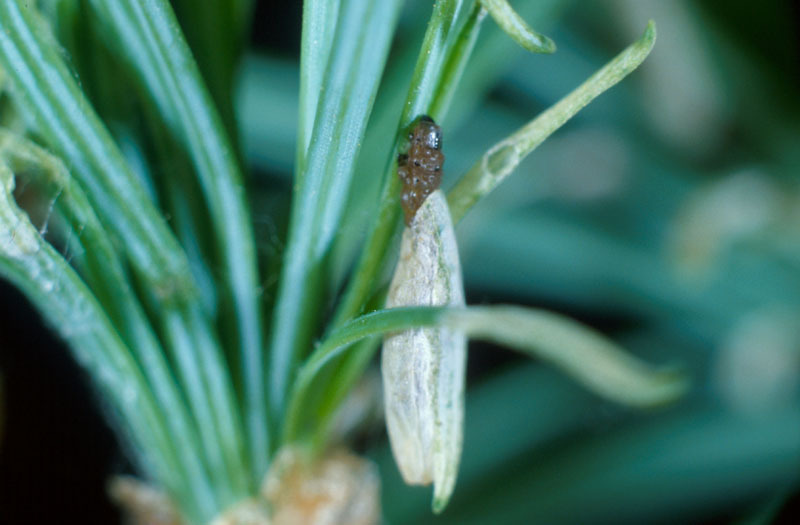 After overwintering in needle cases attached to twigs near buds, the larvae feed by mining into needles from within their cases. At the end of their development, they attach their cases to a twig or a needle and change into pupae. In the summer, small silver gray moths can be seen flying around the crowns of larches. 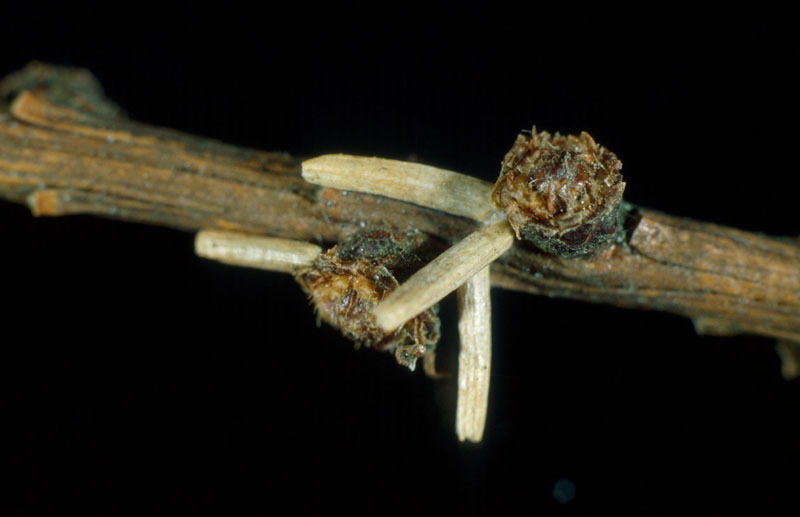 In autumn after the needles have been shed, the presence of cases can be easily detected on the twigs near buds. Damage caused by the larch casebearer is reflected in the drying out and browning of new needles. 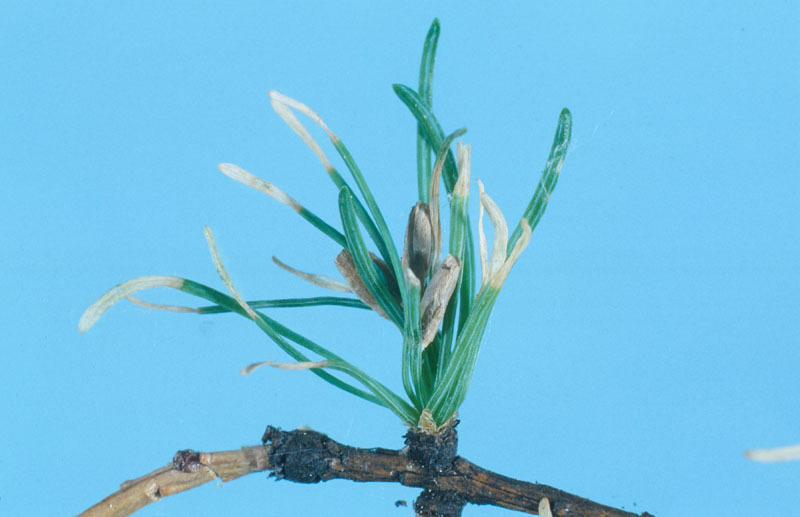 Severe defoliation can slow the tree's growth and even kill twigs, but it rarely kills the tree because most larches are able to produce new foliage. 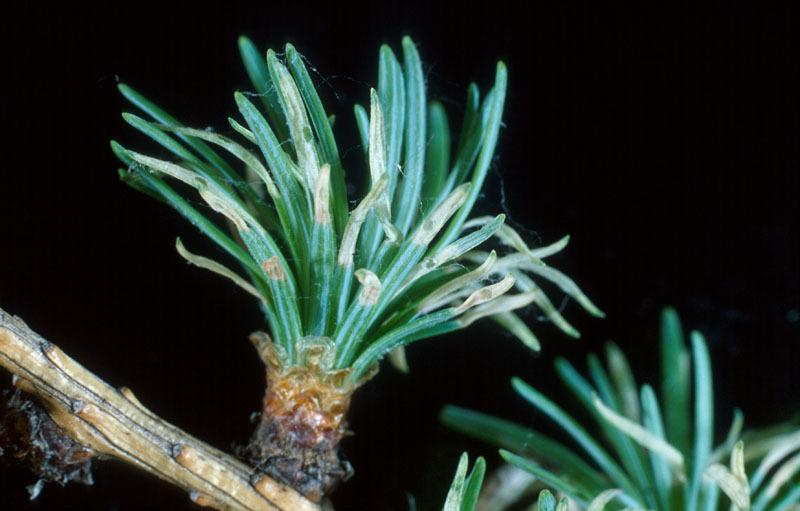 An introduction from Europe, the larch casebearer was first recorded in North America in 1886 and by the mid-1960s was found in western Canada. It spread to British Columbia from infestations in northern Washington, Idaho and Montana. 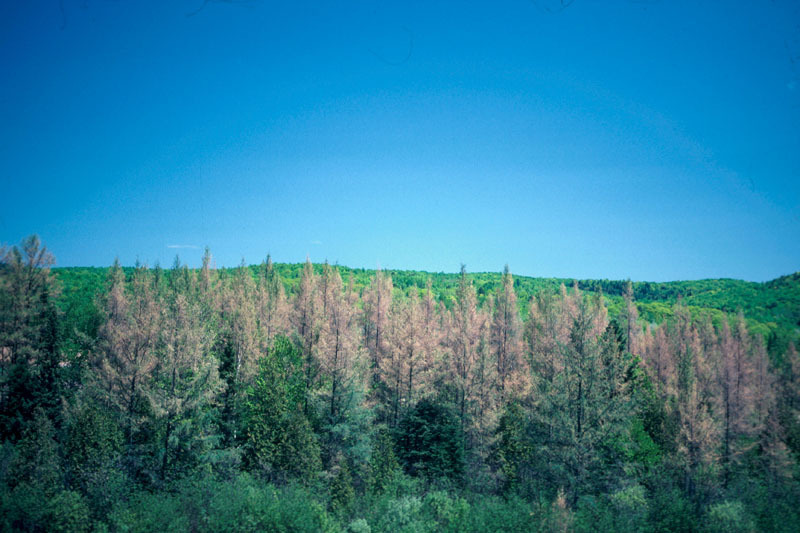 Large populations have caused defoliation resulting in visible discoloration in large portions of forests in the Nelson and Kamloops areas. Larch casebearer attacks western larch at a variety of sites. Its present distribution in eastern North America covers nearly all the territory between the 40th and 50th parallels. 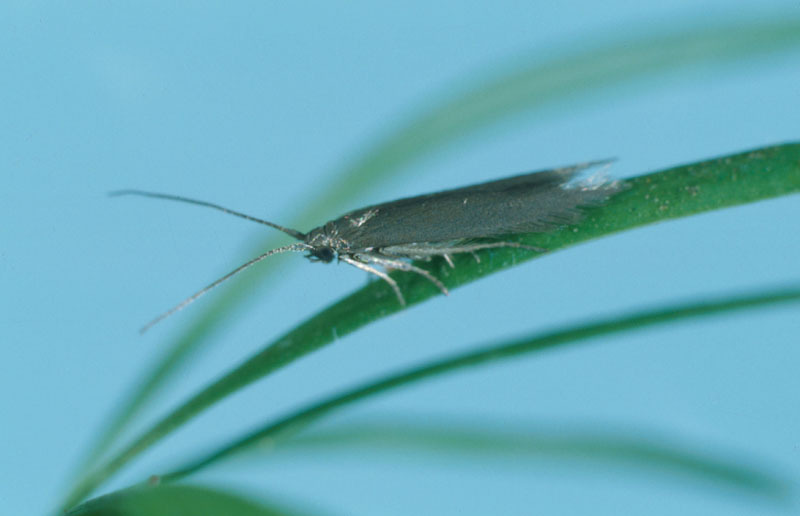 Infestations by the species occur fairly regularly, usually on a cycle of about eight years. Over the past few years, the insect has made its appearance in several locations in Quebec, including plantations.